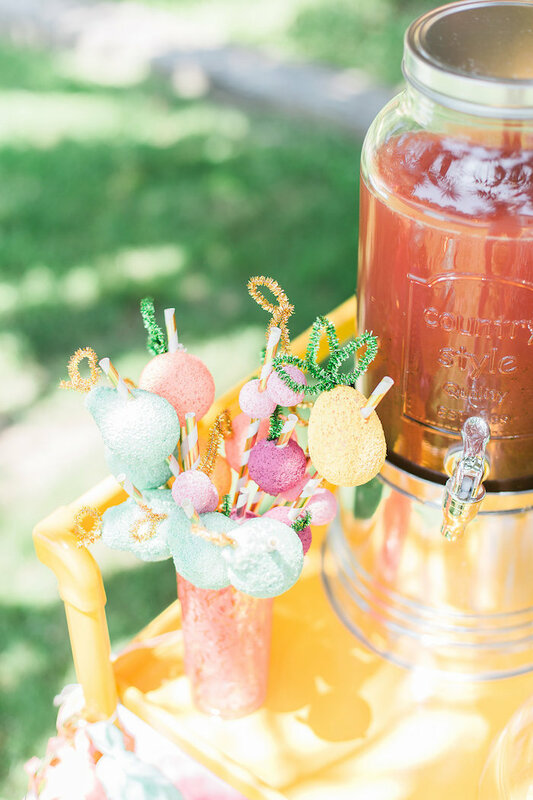 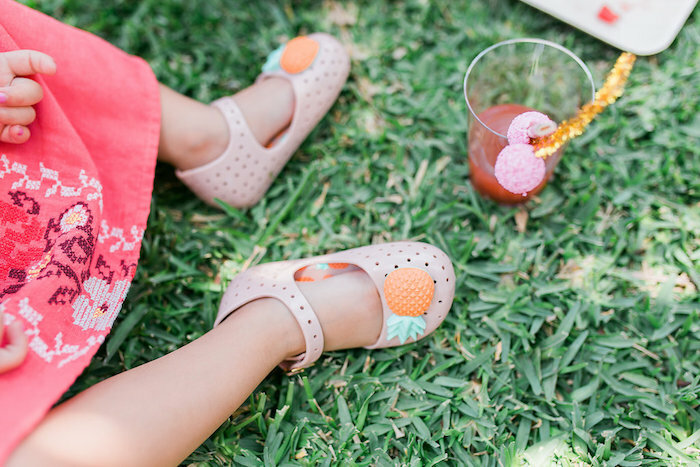 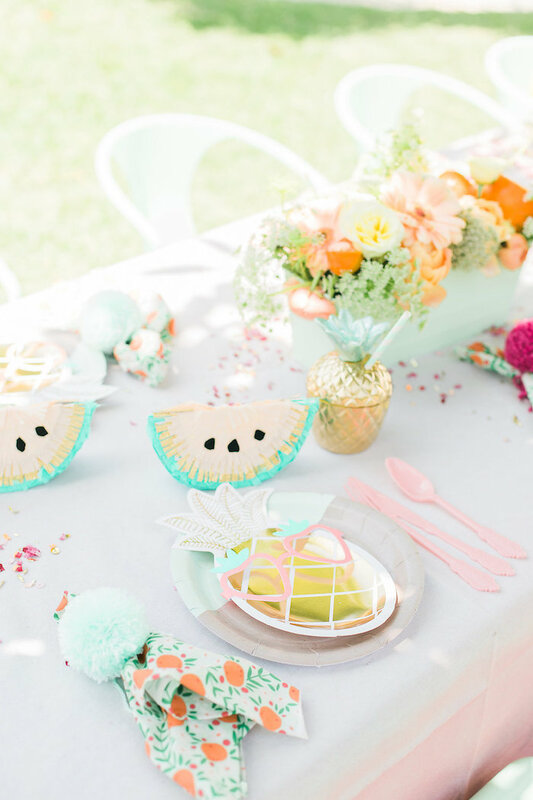 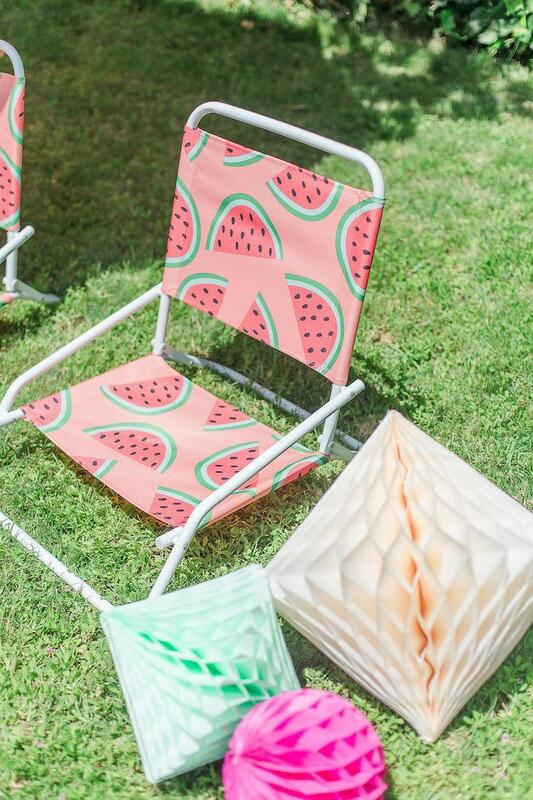 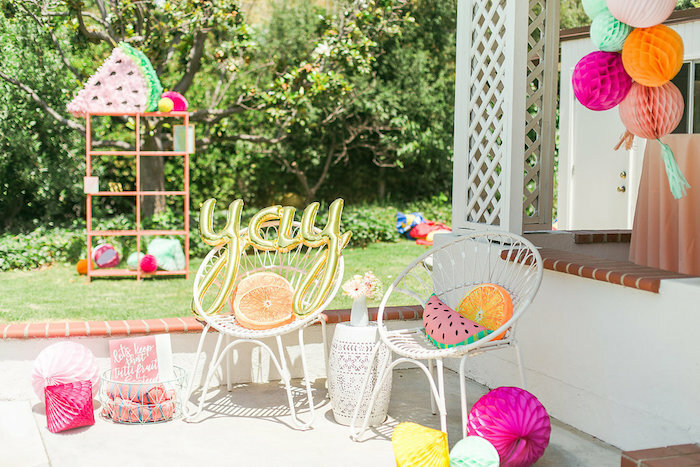 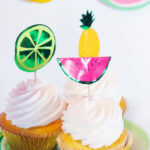 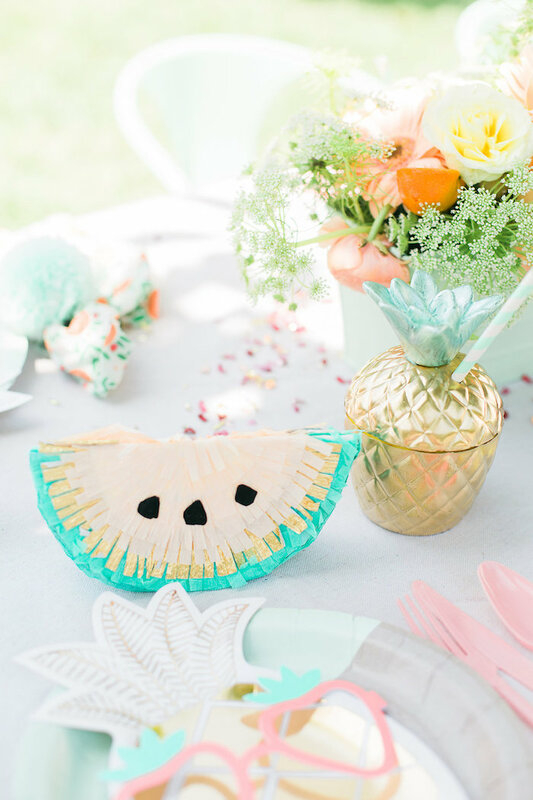 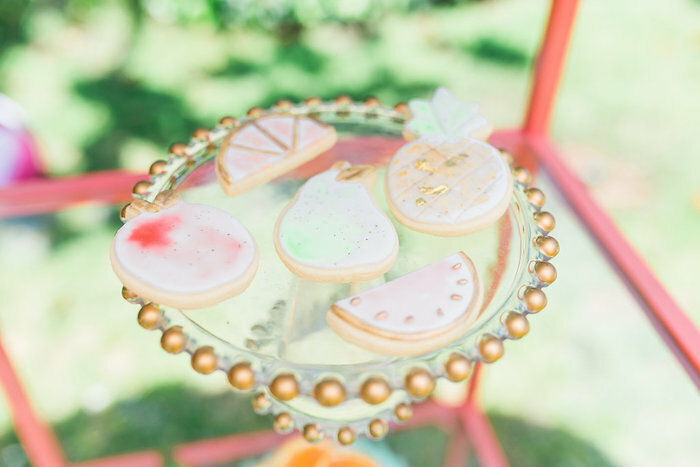 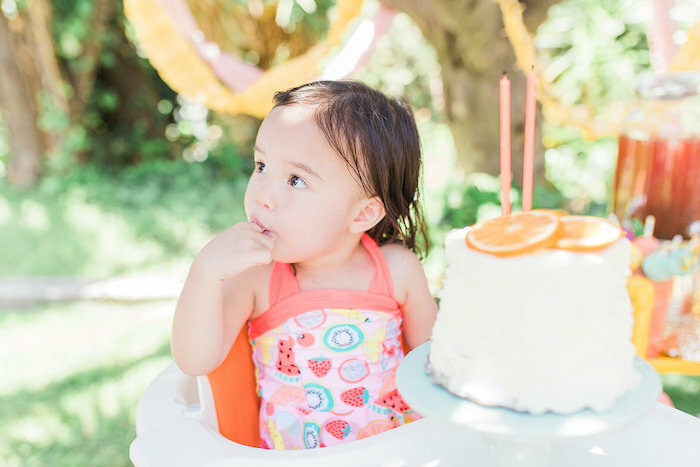 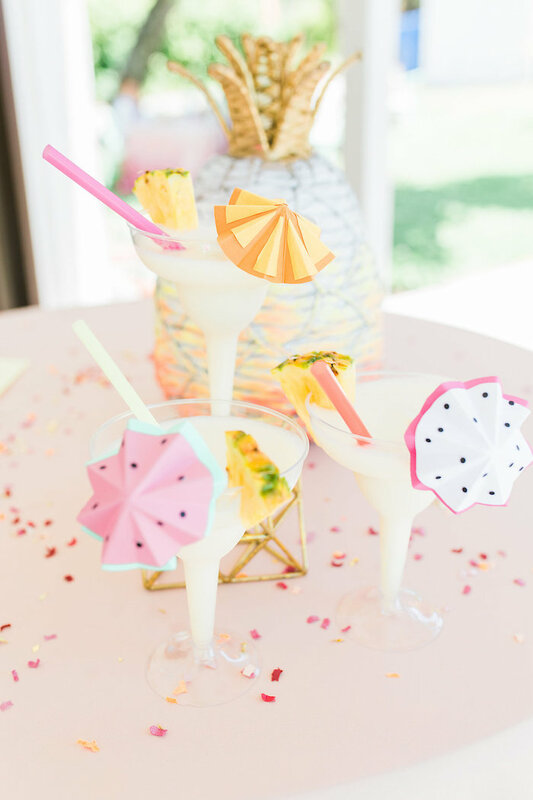 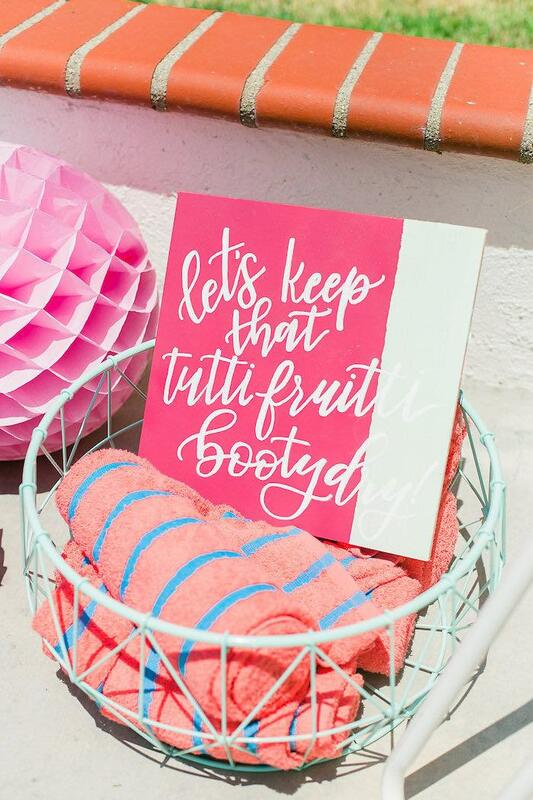 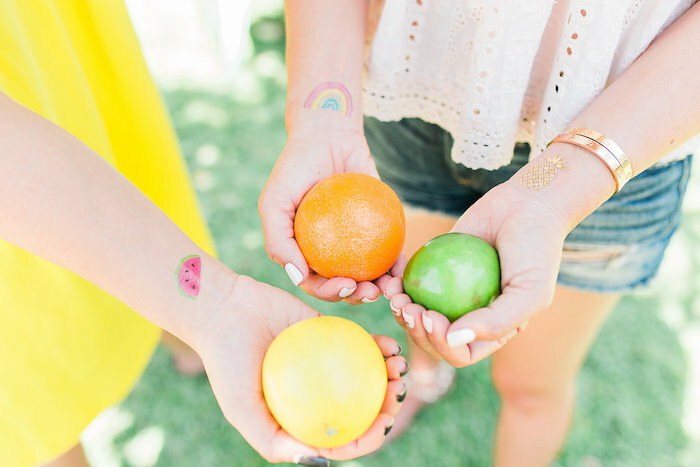 A party couldn’t get any cuter than this Modern Two-tti Fruit-i Pool Party by Jacqui Marino of Deets & Things, out of Whittier/ CA/ USA! 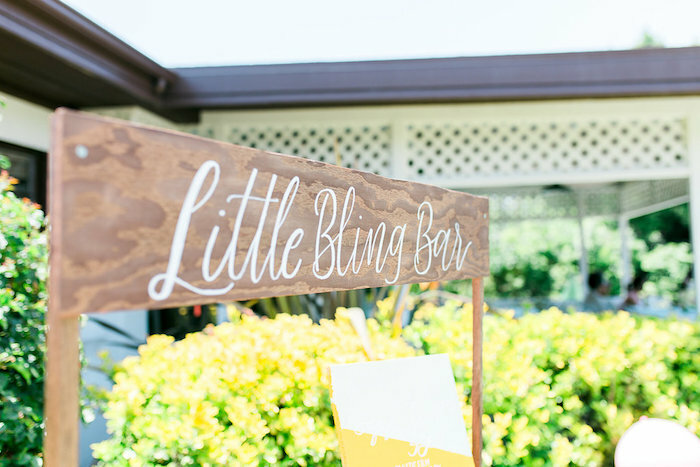 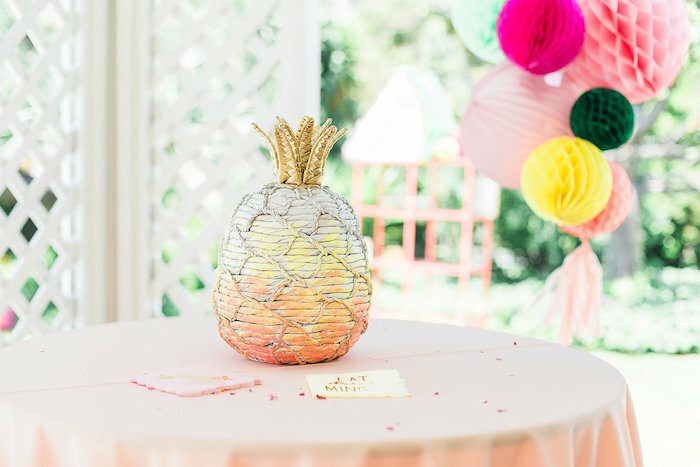 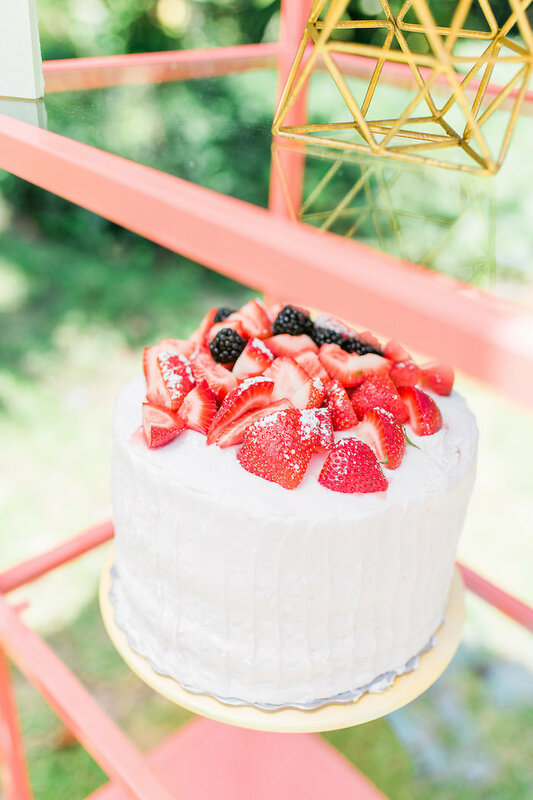 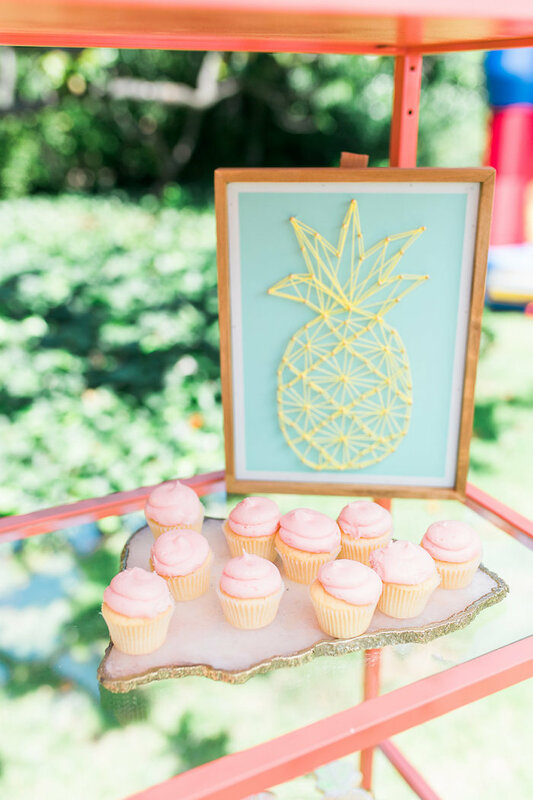 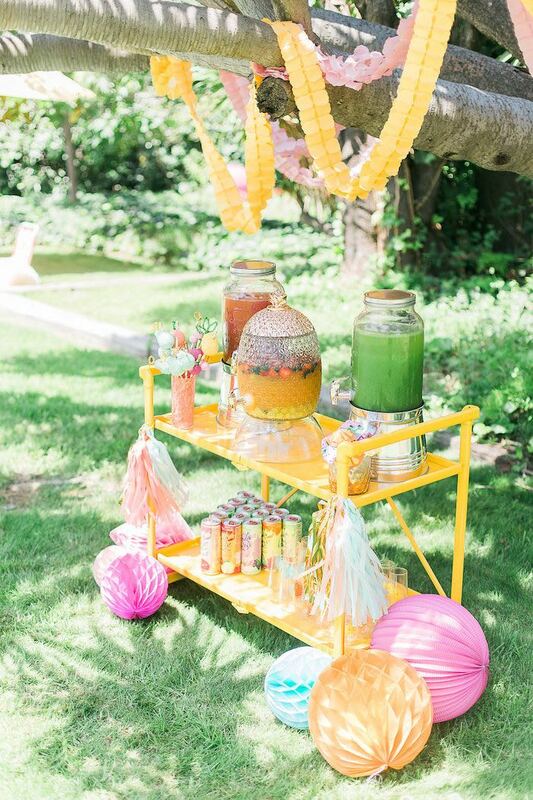 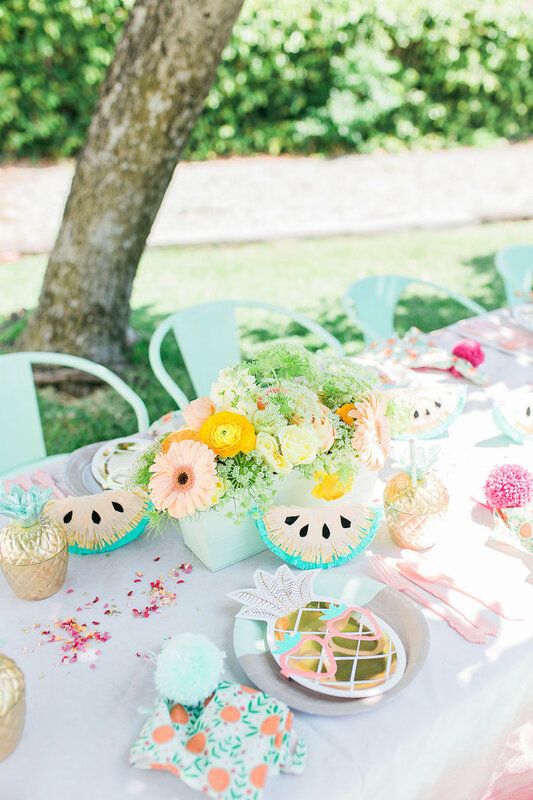 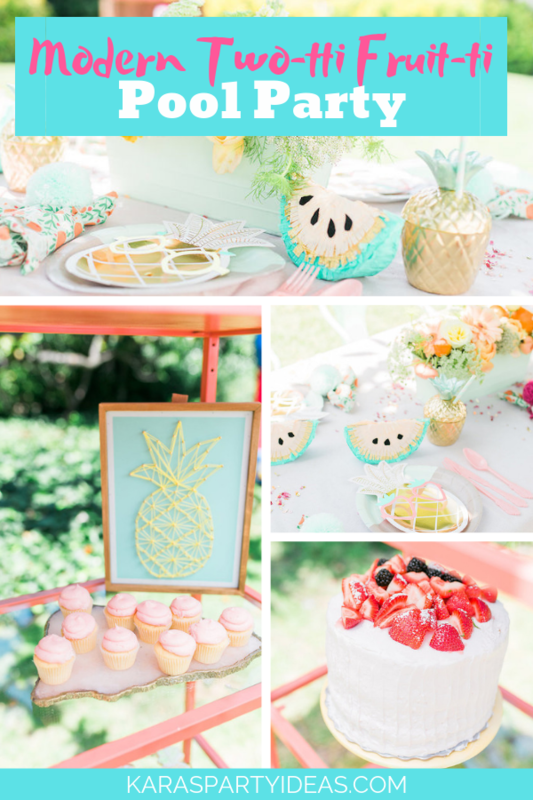 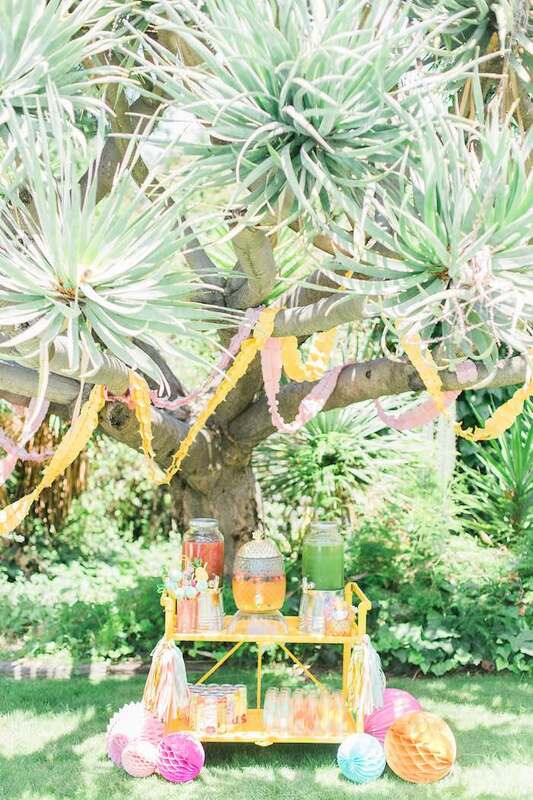 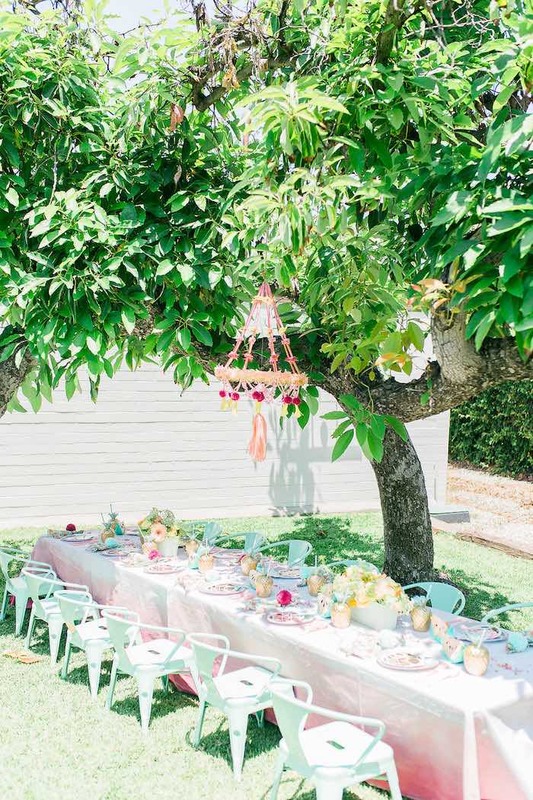 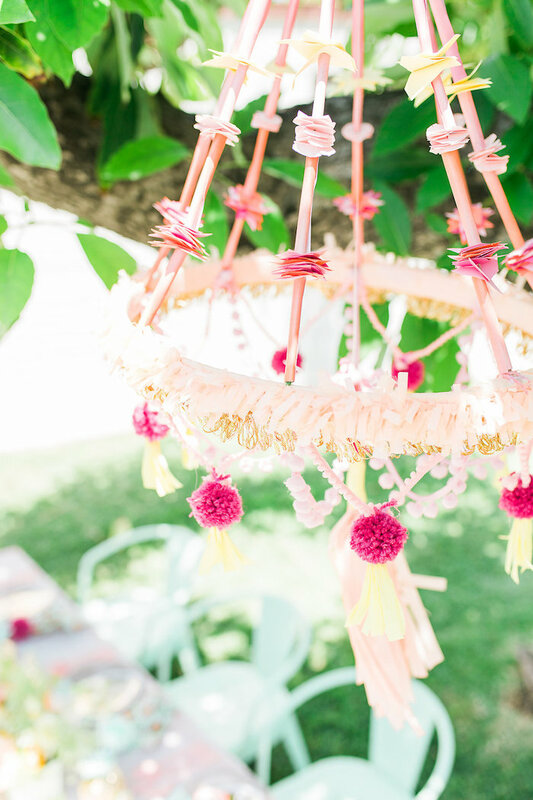 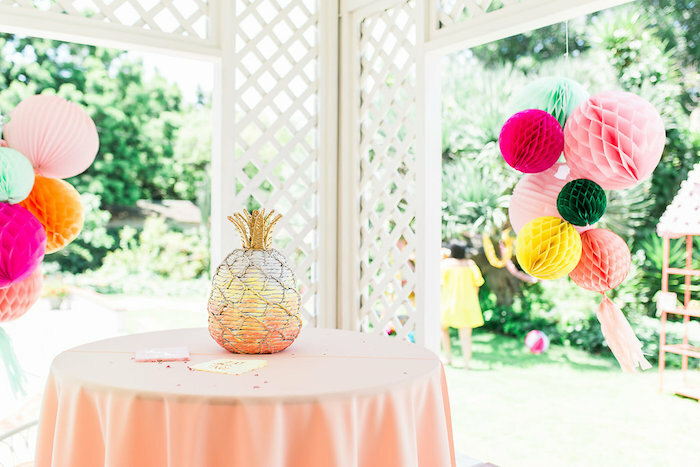 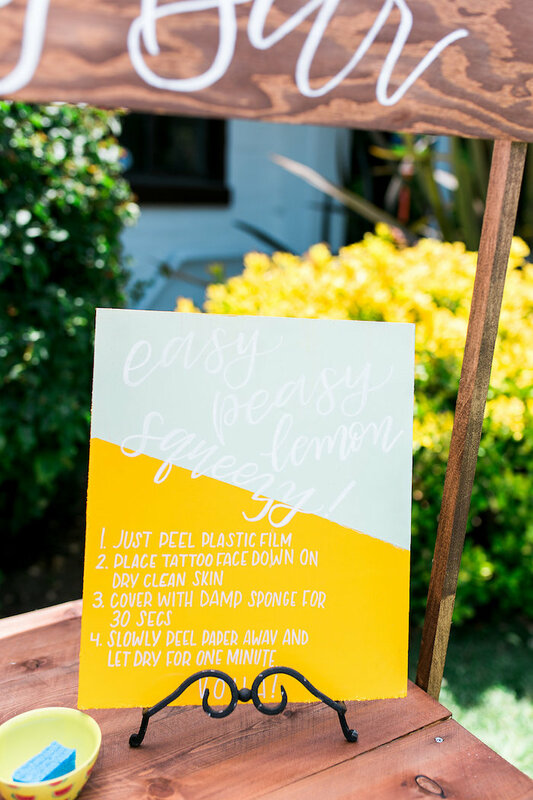 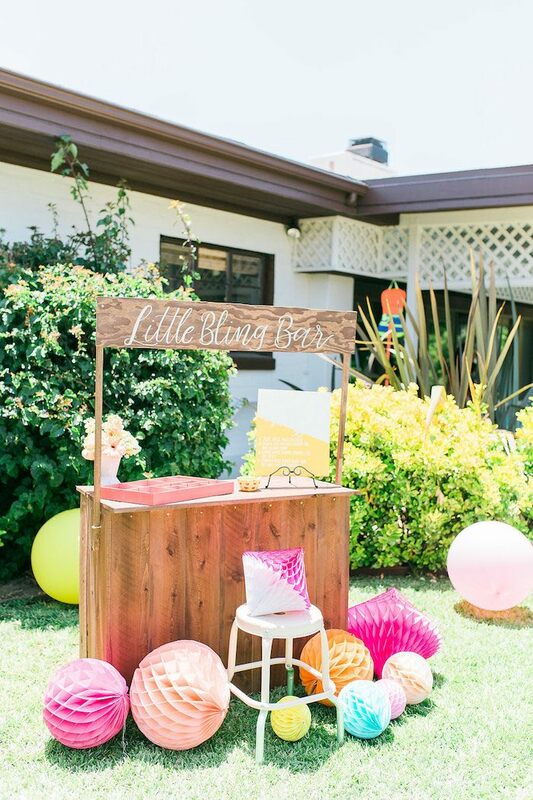 Featuring a bright and cheerful vibe and the sweetest fruit-inspired decor, this adorable birthday bash will have you swooning to your core! 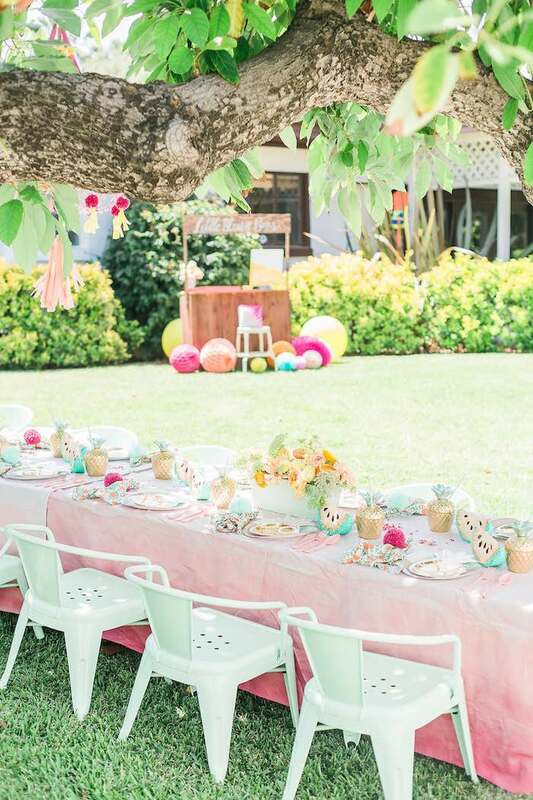 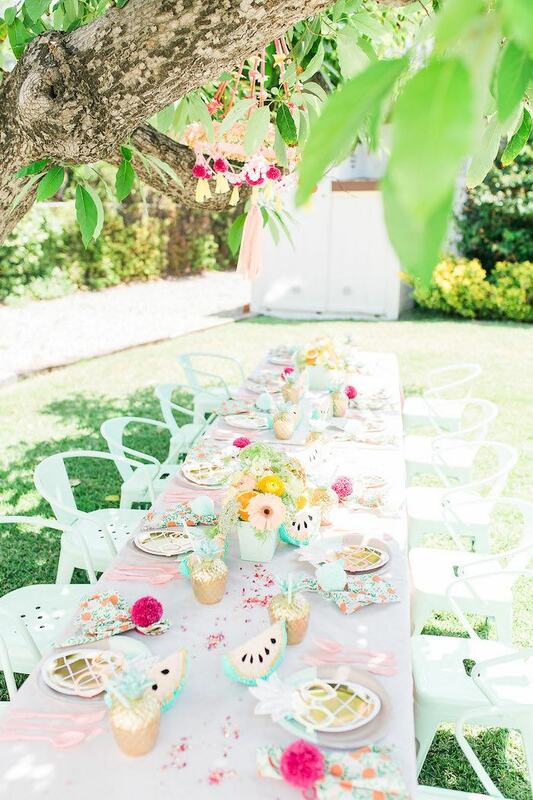 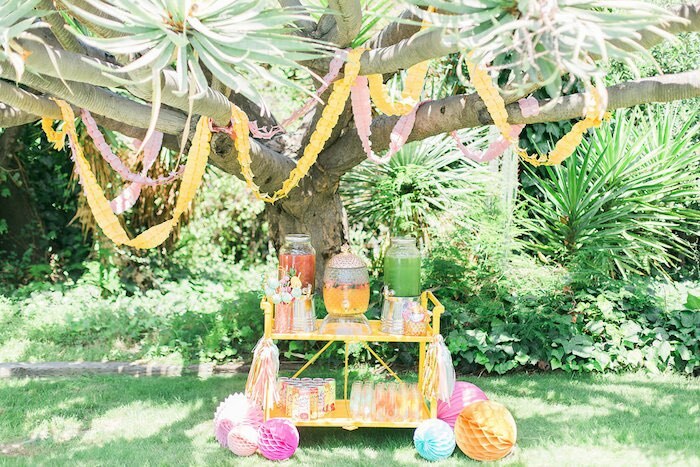 And,, if you love this sweet and fruity party, don’t miss this tutti fruiti party designed by Kara! 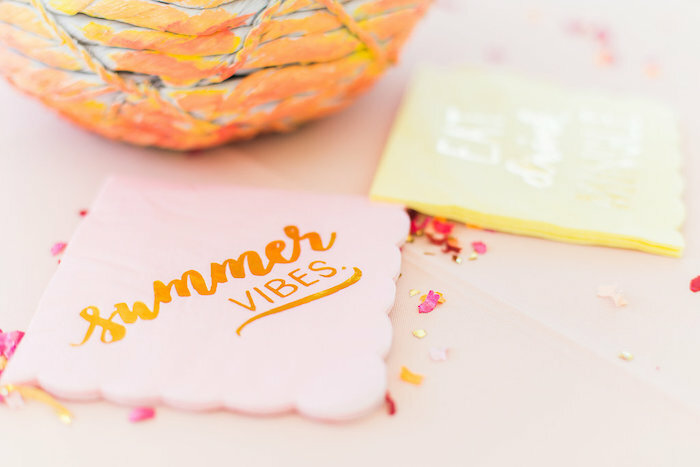 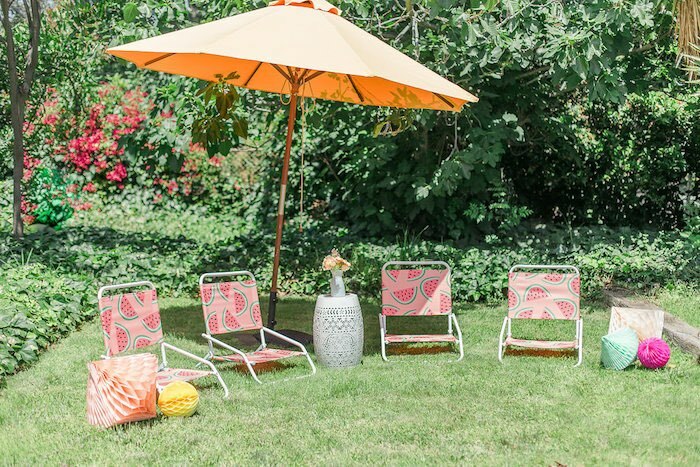 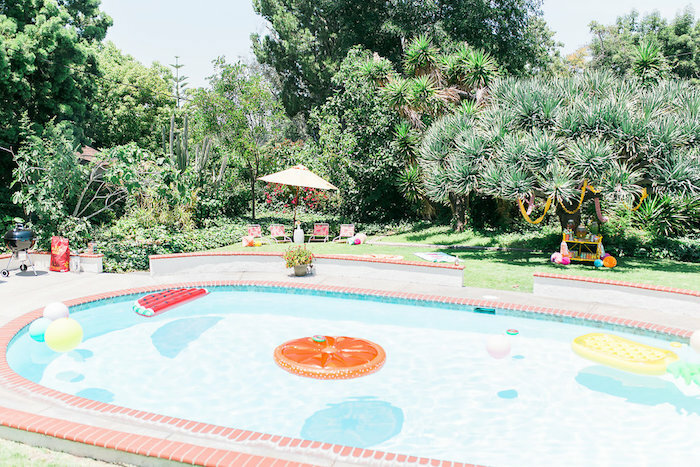 With Spring in full swing and summer just around the corner, this festive pool party has all the feels! 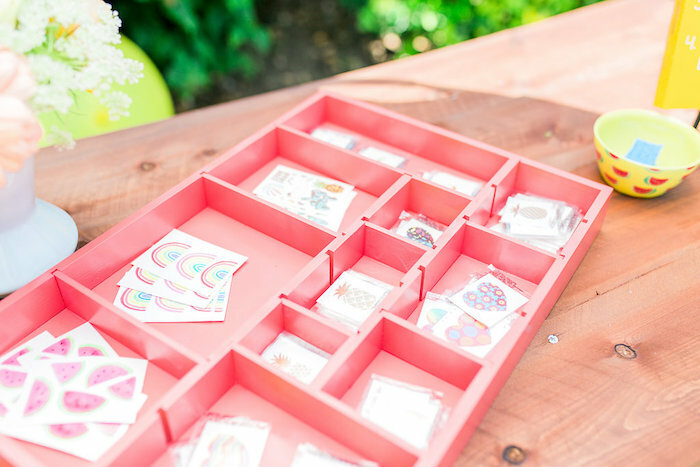 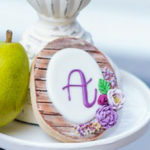 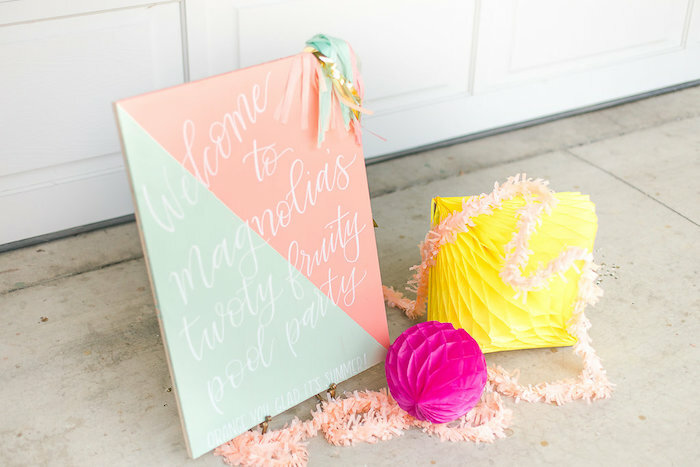 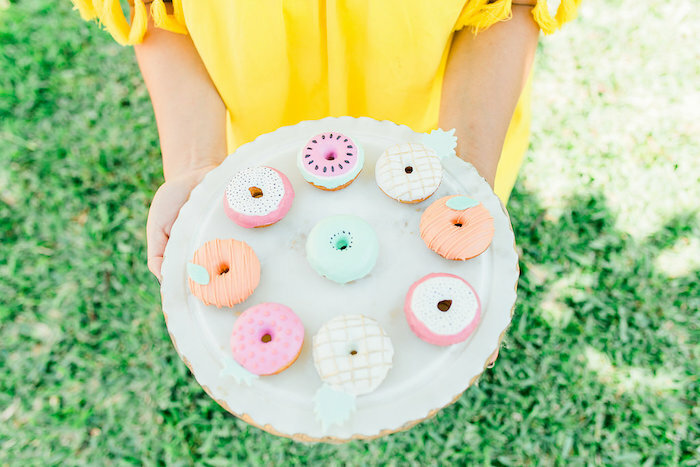 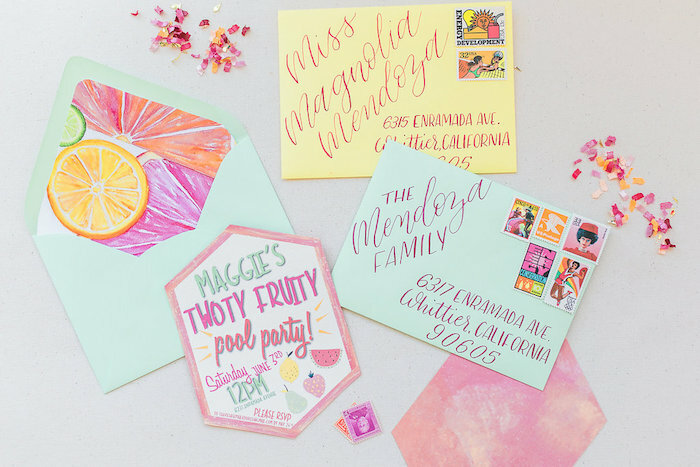 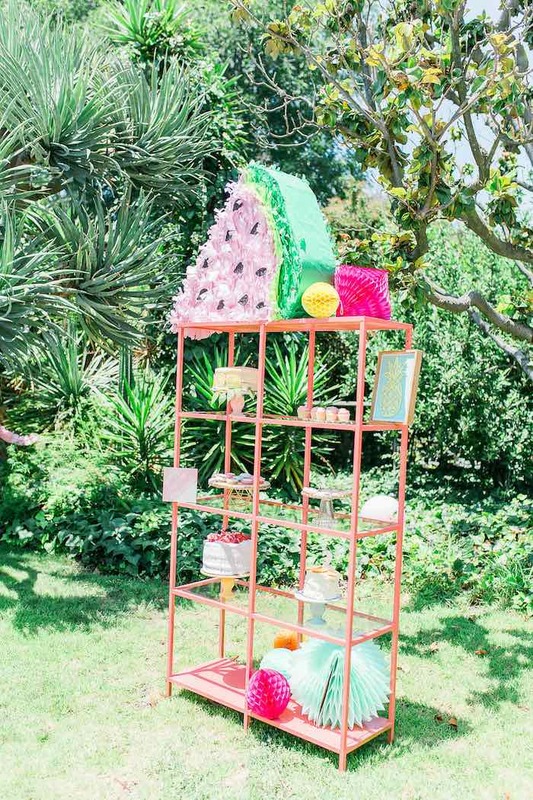 Magnolia’s classically themed two-ty fruity 2nd birthday has a modern color pallet and is chock-full of DIY party decor. 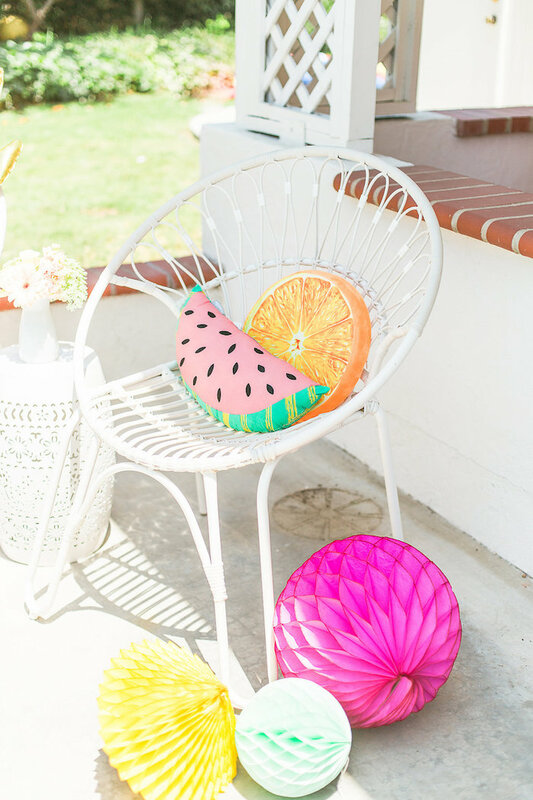 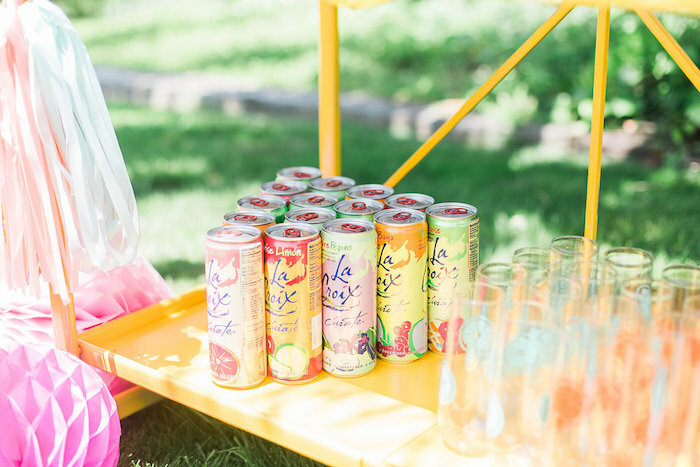 It makes a colorful splash in every corner. 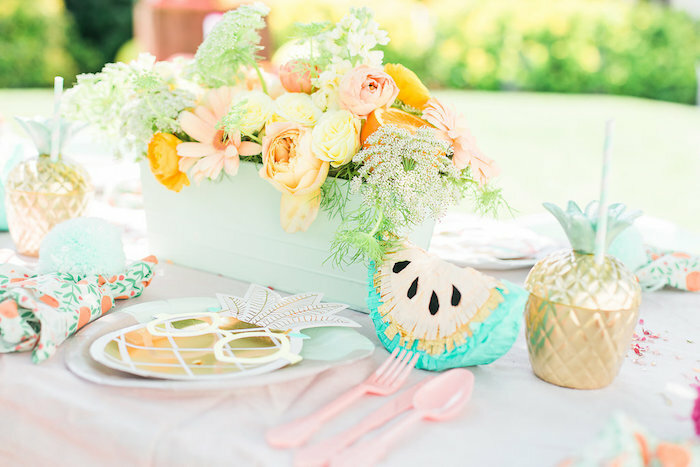 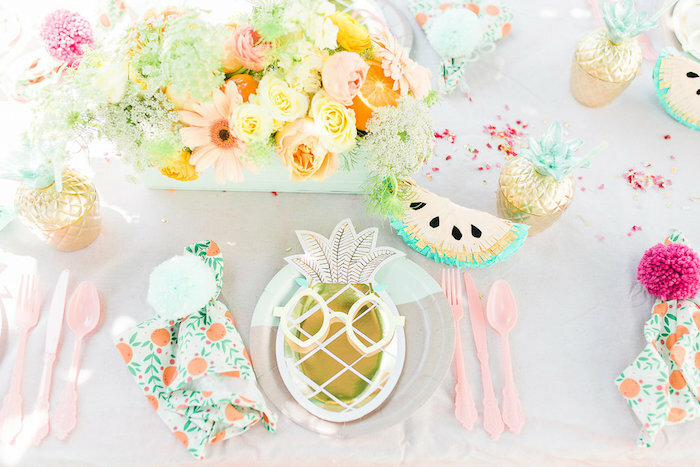 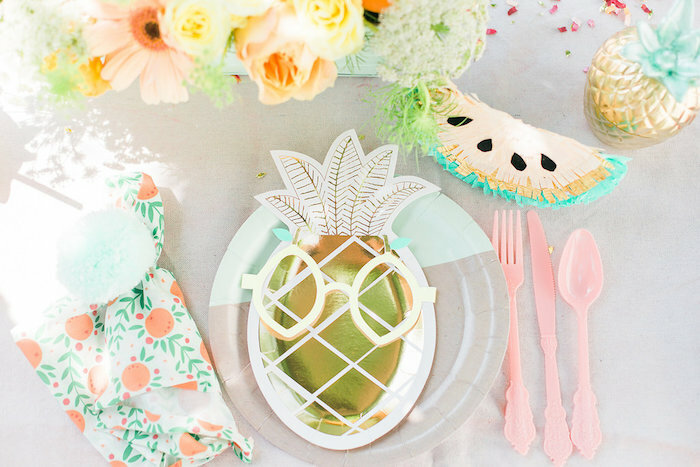 At the kids table, I paired Meri Meri’s iconic summer pineapple plate with their funky paper fruit glasses. 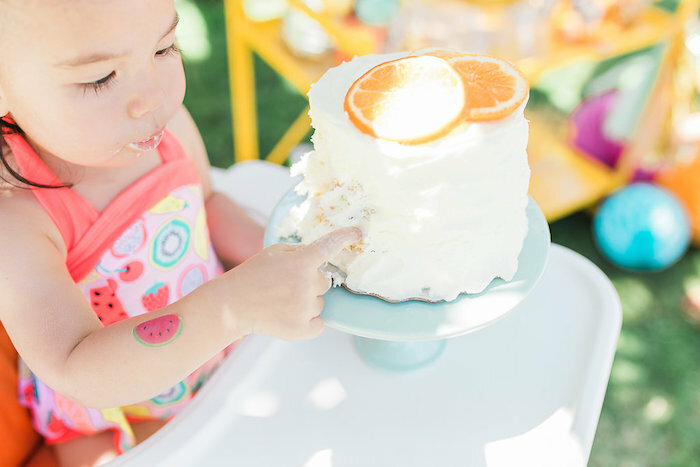 It’s a definite hit with the toddlers! 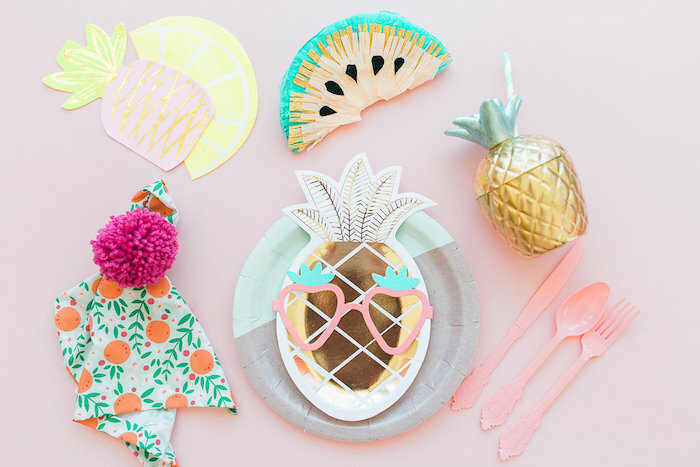 Kiddie-sized napkins are sewn from a fruit print fabric found from Spoonflower and tied with DIY pom-poms. 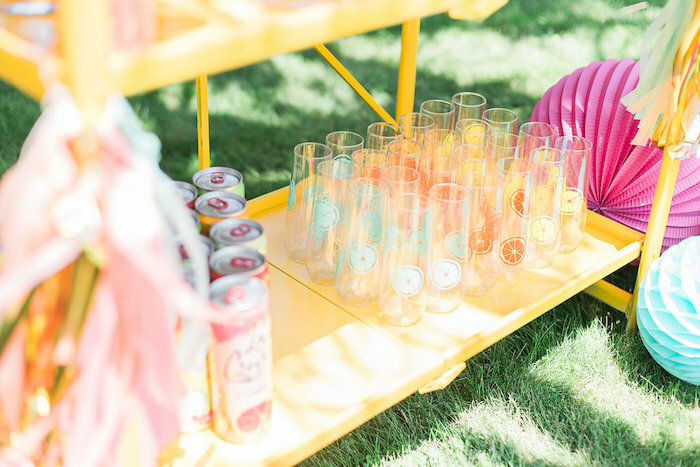 Each setting has a gold-coated tumbler. 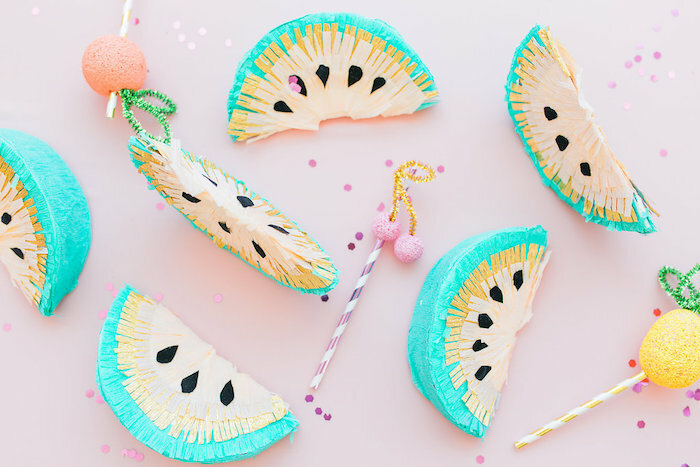 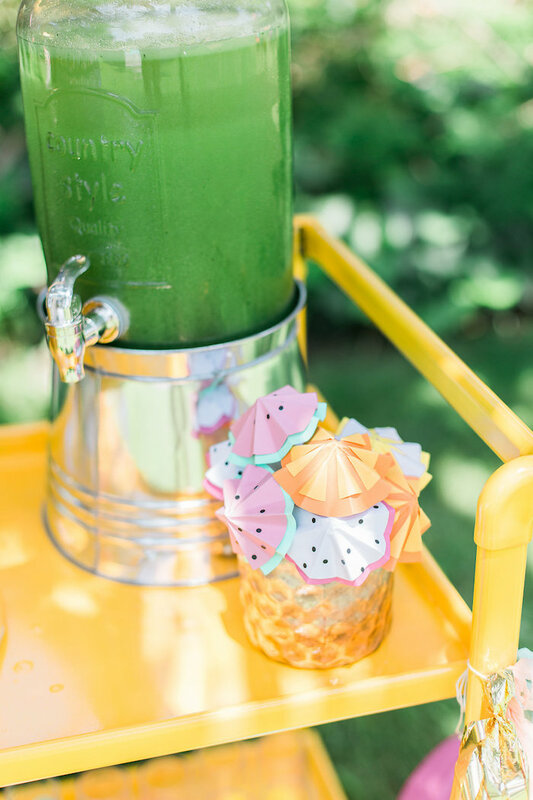 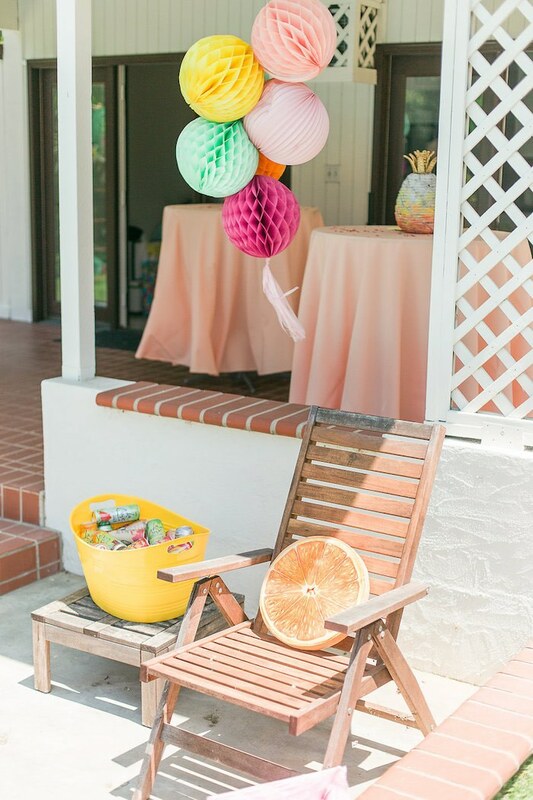 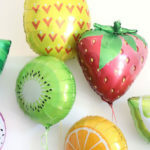 Also included are individual mini watermelon piñata favors I made and filled with healthy fruit snacks. 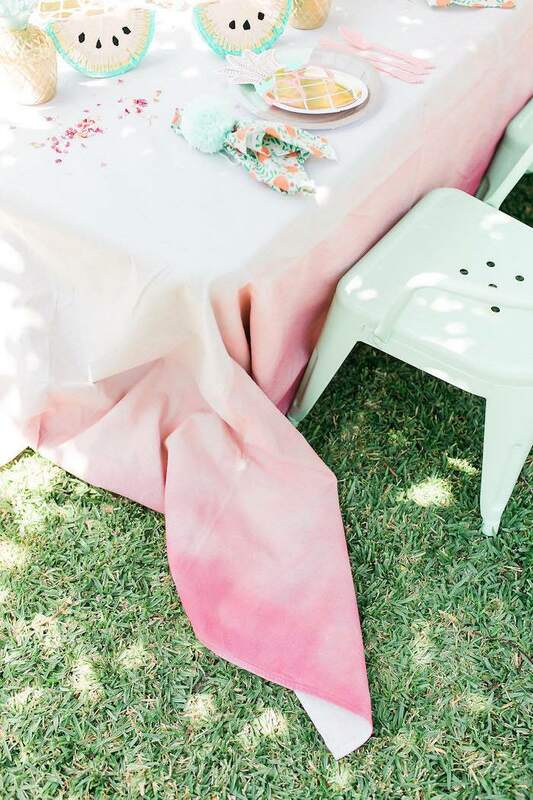 Blending perfectly with the color scheme are fruit filled pastel blooms by The Flower Story Co on a hand dyed tablecloth. 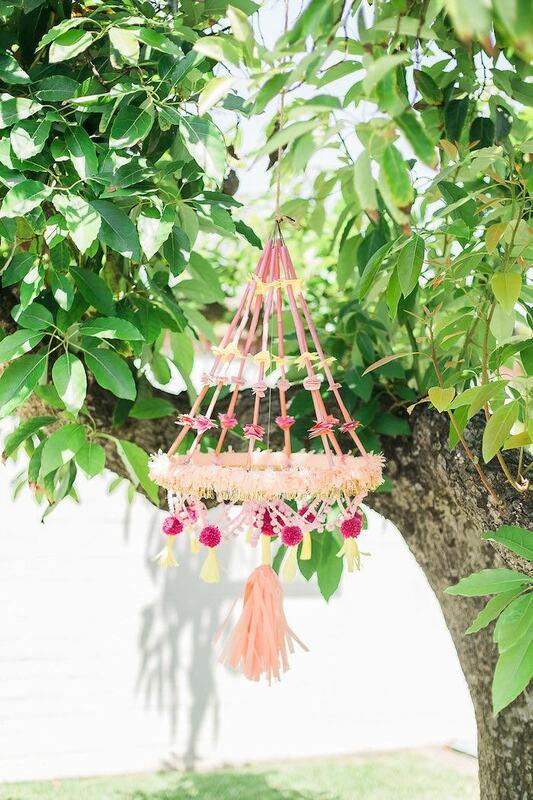 Up above, the polish chandelier I made, swings in the light spring breeze. 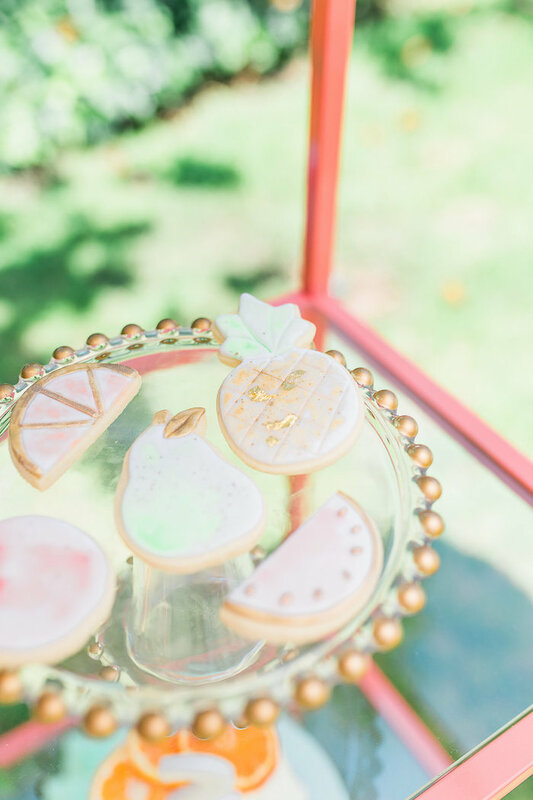 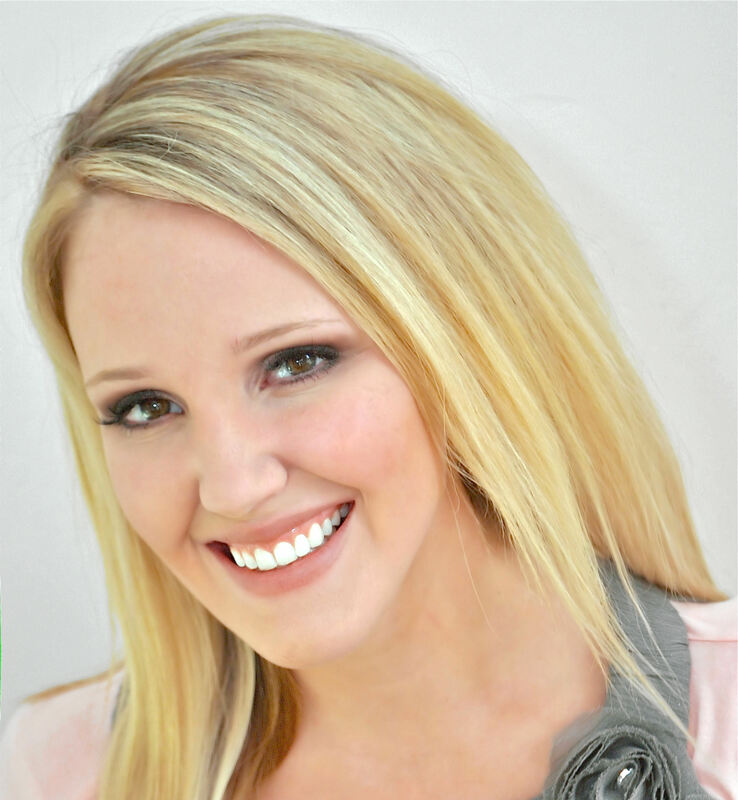 Florals: The Flower Story Co.